The perfect way to showcase your project. You provide print ready graphics. Don’t need 1000 CD’s? Order 500 for $799! Don’t need 1000 CD’s? Order 500 for $999! FREE Barcode with every full retail CD order – a $750 value! Great when you just need a quick stack for your next show! Choose the quantity and options that are right for you. If you have any questions about file types give us a call! 1 – 25 $4.45 ea. $4.75 ea. 25 – 50 $3.60 ea. $3.95 ea. 50 – 100 $2.10 ea. $2.45 ea. 100+ $1.75 ea. $2.10 ea. This following information is intended to guide our clients who wish to provide press-ready layouts on disk. All files intended for direct press output MUST indicate cut and crop marks. Your supplied proofs will be used as a guide for final output. All color printing is done as process. If you are simply sending images to us for use in the creation of your layout, please use one of the graphics file formats listed below. Not adhering to specifications can significantly delay delivery of your product and add additional costs. Please talk to one of our graphics people before submitting any discs or before doing any work. We can accept Mac/PC formatted CD-Roms only. Do not use CDRW discs or CDR discs intended for use on consumer audio CD recorders. 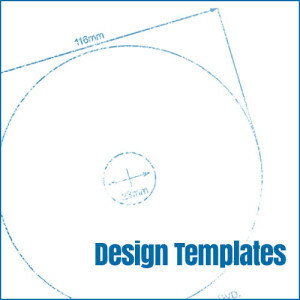 If you are laying out your own design for direct press output, flattened Tiff or PDF files are required. Files for disc face printing need to be submitted as spot color sep files unless process printing is to be used. Be sure all bleeds are at least 1/8″ and keep all text and images at least 1/8″ from cut edges. A proper color proof is REQUIRED or an additional charge will be added to your order. You must include all fonts used in your layout. Spot color printing on the CD face printing is standard on all retail CD packages. Process printing is available at an additional charge. Unless your monitor is calibrated to exacting standards, color accuracy is difficult to achieve. We print to the highest standards in the industry and guarantee pleasing color, but we can’t guarantee absolute color matches. Low resolution files (72 DPI) While we can print these images the quality will be greatly reduced. Failure to include bleeds in your layouts may result in incomplete coverage of the printed material. These templates are for the use of our clients who wish to provide print-ready files for duplication. Be sure to maintain a resolution of 300dpi at full size for all graphics. CD/DVD Screen Use this file if you are creating a disc without a base coat to keep your text and images outside of the mirror band • all short run orders (less than 1000) should use the full coverage template instead. Roll Fold – Deduct 1/16″ for each additional panel that folds under. Z-Fold (Accordion fold) – Standard panel sizes of 4 3/4″ square are fine. Fill out your info and one of our specialists will get in touch with you to discuss your project. We’re looking forward to working with you!